I mentioned in my previous article that we would be on away a short holiday in Kruger National Park (one of Africa's largest game reserves, north-west of Johannesburg). I'll tell you a little more about our our first day in the Balule Nature Reserve in my next article, but in closing let me say that the five-hour drive to Tremisana Lodge in the Balule Nature Reserve (part of the Greater Kruger National Park) was awesome, because I didn't have to drive! :) The route winds its way through some beautiful scenery, with wide-open skies and seemingly endless fields. We were driven through several towns that we'd never visited before, the prettiest of which was definitely Dullstroom, where we stopped for lunch. 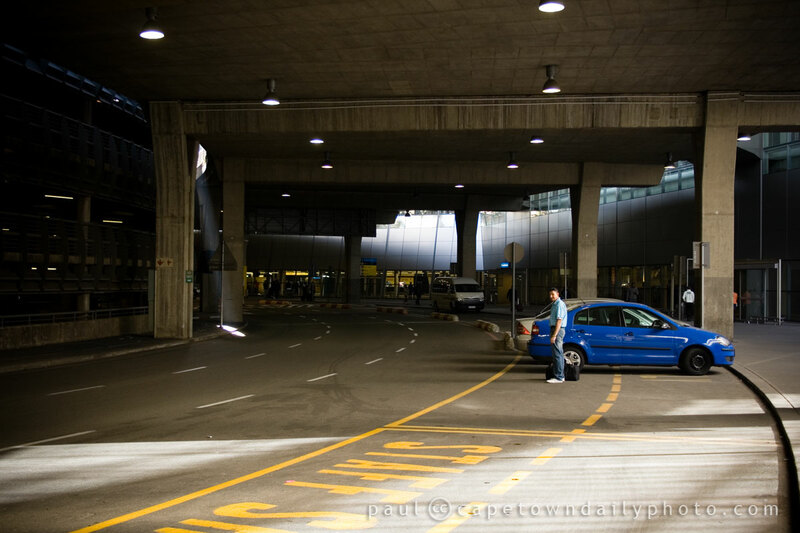 If you don't fancy the five-hour drive, there is another option: you could instead fly to Phalaborwa or Nelspruit airport, both of which are much closer, though a lot smaller, than OR Tambo. If you have limited time, this would be a great idea! Posted in General and tagged holiday, road on Friday, 28 May, 2010 by Paul. This looks very quiet for an International airport? The main doors to the arrivals section are in the distance, almost around the corner. Also, this is the pickup and go section – I guess there are also more people that collect rental vehicles and perhaps make use of their own vehicles parked in the parking garages.